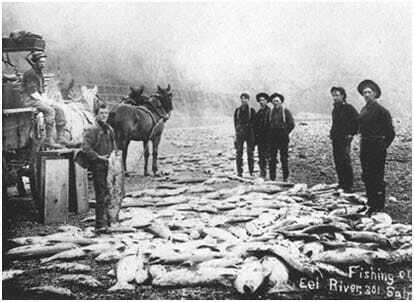 The salmon and steelhead fisheries of California’s Eel River were once bountiful — and could be again. t like so many coastal watersheds north of San Francisco, the Eel has been hard hit over the past century by resource development, dams and diversions, and, more recently, marijuana cultivation and sustained drought. However, as TU’s Chris Hunt and others have documented, the Eel is poised for a comeback. 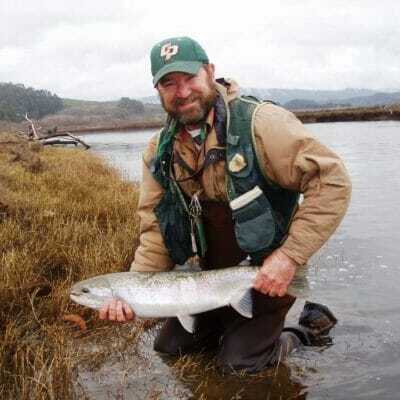 TU’s California Director, Brian Johnson, is co-author of a new opinion editorial in the Santa Rosa Press Democrat that discusses one opportunity, in particular, to recover the Eel’s world-famous fisheries and improve water security for people dependent on this hard working river at the same time. 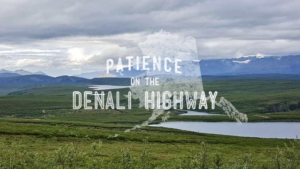 This opportunity is the current relicensing process for the Potter Valley Project, a two-dam hydropower and diversion project in the upper Eel. 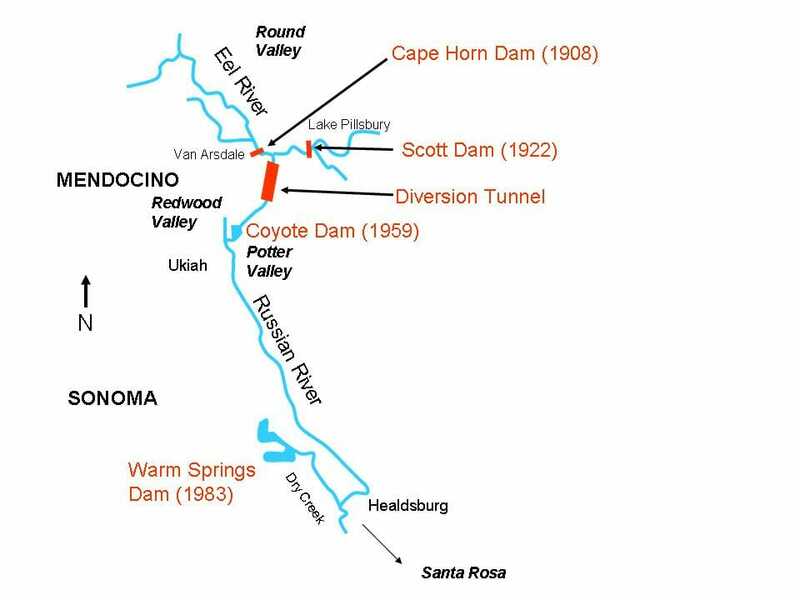 These dams have blocked fish access to more than 150 miles of high quality spawning and rearing habitat since 1908. Pacific Gas & Electric, which currently owns and operates the Potter Valley Project, wants to divest itself from the unprofitable project. The Federal Energy Regulatory Commission is charged with evaluating the project for possible issuance of a new operating license—or for approving alternatives, which could include decommissioning the two dams. Johnson and co-author Curtis Knight of California Trout argue that the Eel’s protected status as a designated Wild & Scenic River under both federal and state laws and the importance of this watershed for coastal salmon and steelhead recovery require that FERC and the river’s many stakeholders look seriously at options for the project beyond simply re-authorizing its continued operation status quo. 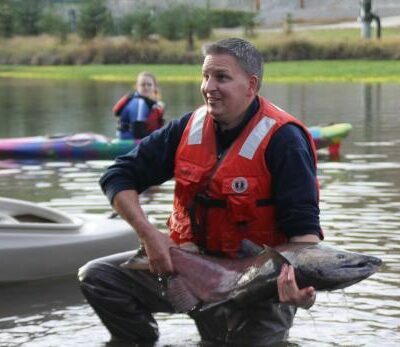 TU’s investment in bringing back Eel River salmon and steelhead goes well beyond advocacy for changes in operation of the Potter Valley Project. 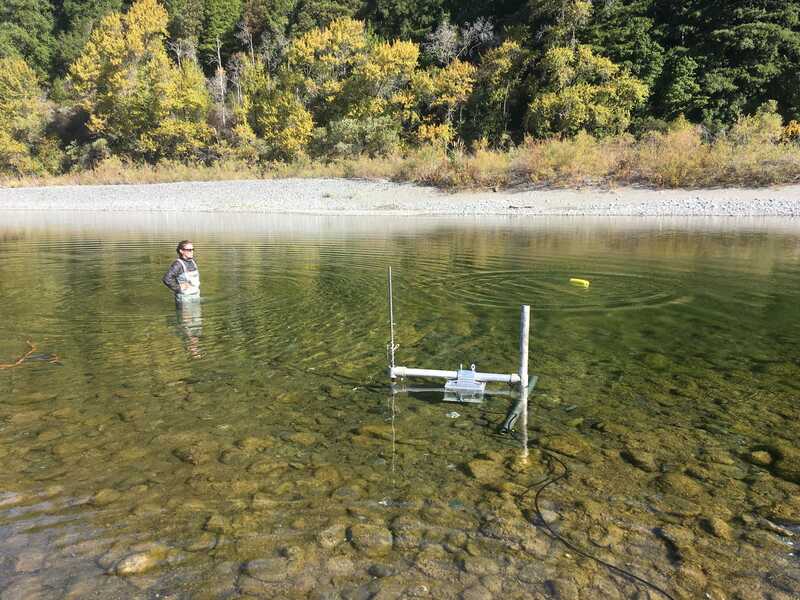 TU’s North Coast Coho Project and TU’s Redwood Empire and Golden Gate chapters have invested heavily over the past two decades in restoring habitat and enhancing fish passage and population monitoring in the Eel and its two largest tributaries, the South Fork Eel and Van Duzen River. These efforts have paid off in improved stream channel complexity, water quality, and higher numbers of fish accessing spawning and rearing habitat. And Golden Gate TU is a lead partner with the California Department of Fish and Wildlife in placement and use of DIDSON sonar devices in the Eel, which will improve fisheries management and document the efficacy of habitat restoration projects. To support this project, GGTU provided funding for a cargo trailer and the DIDSON sonar unit, as well as technical expertise in its set-up on November 7th. As of November 15 the DIDSON camera has been operating 24/7, and with rain finally arriving recently CDFW expected to see salmon and steelhead pass the unit’s location and began testing and recording images on Thanksgiving. Although it has lost some endemic species, the Eel River is still home to native coastal cutthroat trout, summer steelhead, winter steelhead, Coho salmon, fall-run Chinook as well as resident rainbow trout. 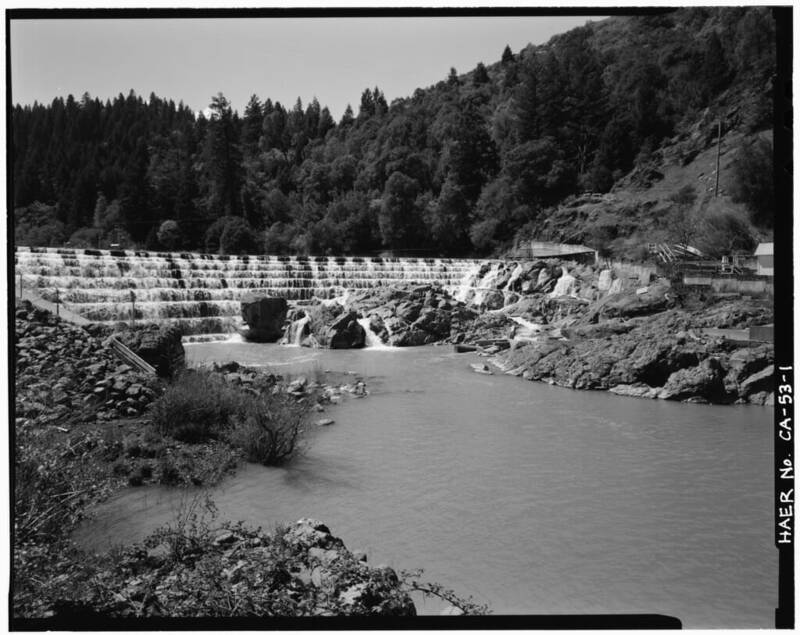 After Eel River salmon and steelhead were listed under the Endangered Species Act, FERC adopted a “Reasonable and Prudent Alternative” (RPA) for operation of the Potter Valley Project, which constrains both dam operations and diversions according to flow schedules for the mainstem river with the intent of providing sufficient dry season flows to encourage upriver fish migration. However, the RPA has never been fully and successfully implemented. The status quo on the Eel River is neither desirable nor sustainable, from either a fisheries conservation or a water supply standpoint. The relicensing of the Potter Valley Project is a once-in-a-generation opportunity to improve conditions for both people and fish in one of North America’s great salmon and steelhead rivers. 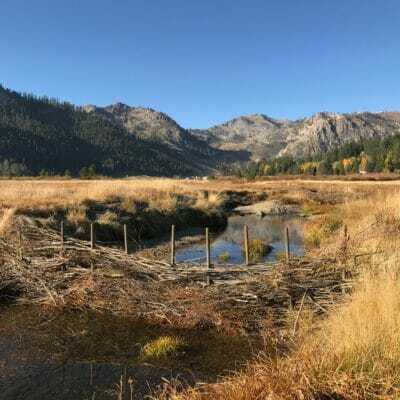 TU will continue to work on the policy and science fronts and to complete meaningful habitat restoration work in the Eel until this famous river once again boasts durable runs of salmon and steelhead.